Scott Young, DDS always appreciates feedback from our valued patients. To date, we’re thrilled to have collected 13 reviews with an average rating of 5 out of 5 stars.  Please read what others are saying about Scott Young, DDS below, and as always, we would love to collect your feedback. Wonderful dentist for the family! Great staff, friendly environment and beautiful facility. Everyone is so kind here and they all have a very gentle touch with their dentistry. I haven’t encountered anyone that I didn’t like cleaning my teeth. Dr. Young and all of the staff very professional and make you feel very comfortable. No long waiting period at your scheduled appointment time. I had comprehensive oral surgery handled by Dr. Akers which was very successful. Having the surgical and restorative services in the same office are a big plus in my opinion. All staff are very competent. Looking forward to completing the scheduled restorative work. Highly recommend. I appreciate the friendly and highly professional personnel at Dr Young’s office. I have been a patient more than 10 years and only have praise. Dr. Akers was amazing when she placed my implant! It was so nice that I could have the extraction, implant, and crown all completed in Dr. Young’s office. Two thumbs up!! Scott Young and staff was amazing, facility is astonishing and up yo date with all the latest equipment, they truly go above and beyond. Receptionist Melinda and Megan, whom performed my treatment was remarkable. A big thank you to Angela, she was with me from start to finish. Making sure everything ran smoothly which is not so easy especially, being a patient with high anxiety. Angela never once complained nor was she irritated with me, on the contrary. She made sure I relaxed and was made comfortable and stress free. 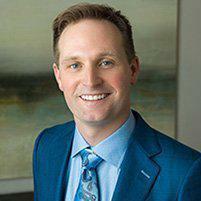 I look forward to my remaining treatments and will recommend Scott Young DDS to all my friends and family. I was in really bad pain and needed to find a dentist, I looked up dentist in The Woodlands and read the good reviews for Dr. Young and his staff so I showed up without an appointment and I was amazed with the service from the moment I entered the office. Hands down this is absolutely the best experience I have ever had at a dentist with true professionalism. Thank you Dr. Young and Staff. This office is full of wonderful amazing people passionate about their jobs. Dr. Young is knowledgeable and patient. Very approachable and addressed all of my concerns. And his staff from front desk to hygienists are all really sweet and attentive. Very professional and prompt! They educate you on your teeth, mouth, and gums which no dentist has ever bothered to do. Highly recommend! For years now I have contemplated porcelain veneers. Last month I finally decided to go ahead and today was my last visit and completion of the process! I am so happy with the results! Scott Young has been my dentist for a number of years. He and his staff are extremely professional and the dental care they provide is simply the best available! Due to the importance of this decision, I still looked outside his practice for opinions and consultations on veneers. In the end, my choice was easy, no one spent more time explaining and detailing the process than Scott and his staff! Today I have a smile that I am really proud of and one that I will enjoy for years to come! I recently underwent multiple complex oral surgeries with Dr. Akers. She is one of the most competent, professional and caring Doctors that I have met. The office is a first class, modern facility and every member of the staff is top notch in their role. Every detail from the scheduling, wait time and follow up are best in class. My situation required additional treatment and I wasn't "nickel and dimed"; they honored their original proposal. They are a model for customer service and I highly recommend them. Everyone was very friendly and accommodating. Dr. Young was pleasant and knowledgeable.